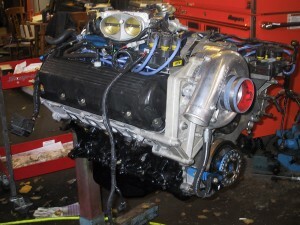 These are some old shots from a 4.6 I rebuilt for a guy in a Mustang SEVERAL YEARS back. 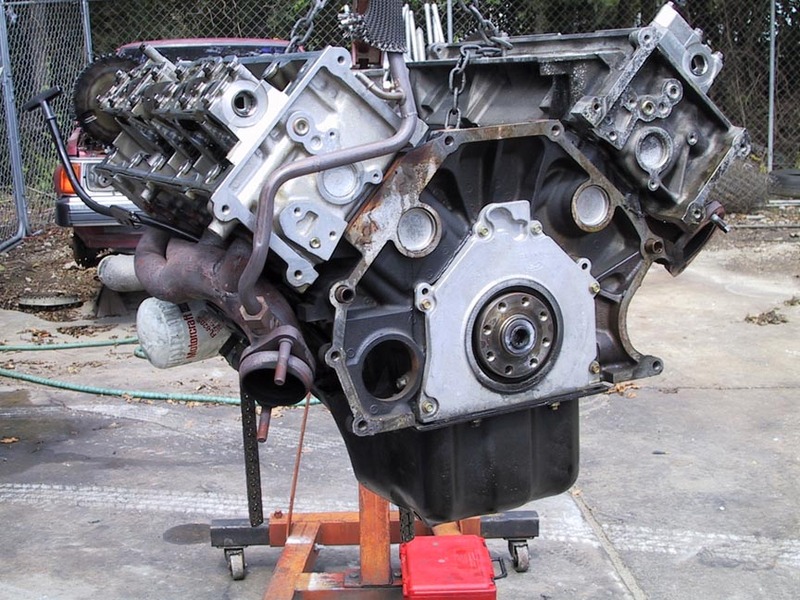 At that time only very few professional engine builders fooled with the modular motors No one in this area had successfully built one that lived. 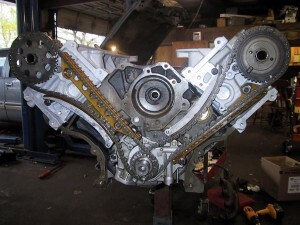 As a matter of fact I used a very prominent machine shop in Texas for the machine work and this was the FIRST modular motor even THEY had dealt with! 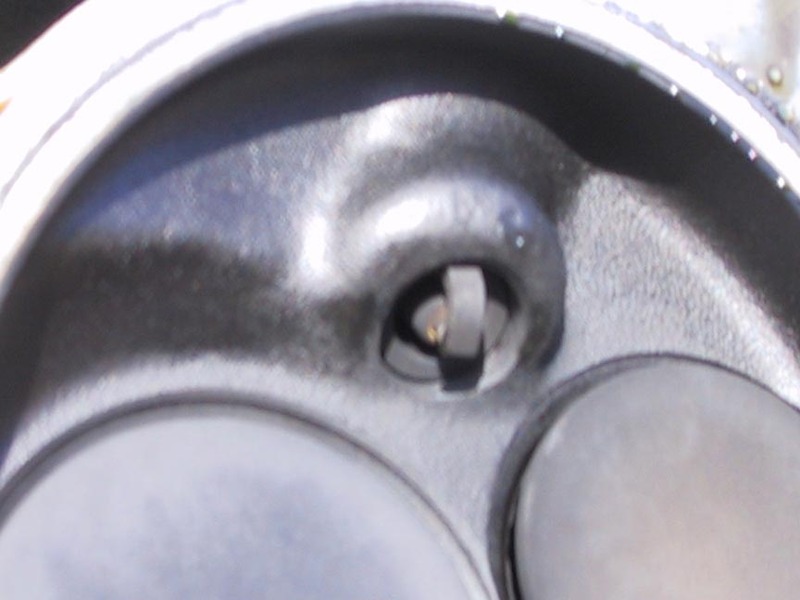 This thing had a centrifugal supercharger thrown on it by some internet/magazine expert. (this is a person that reads high perf magazine articles and spends countless hours on the net and thinks this makes them an expert tech!! They usually think they know it ALL even though they have never had a project that ran right….there is always some pop or miss or hiccup that they ALWAYS have some BS excuse as to why it ain’t their fault!) 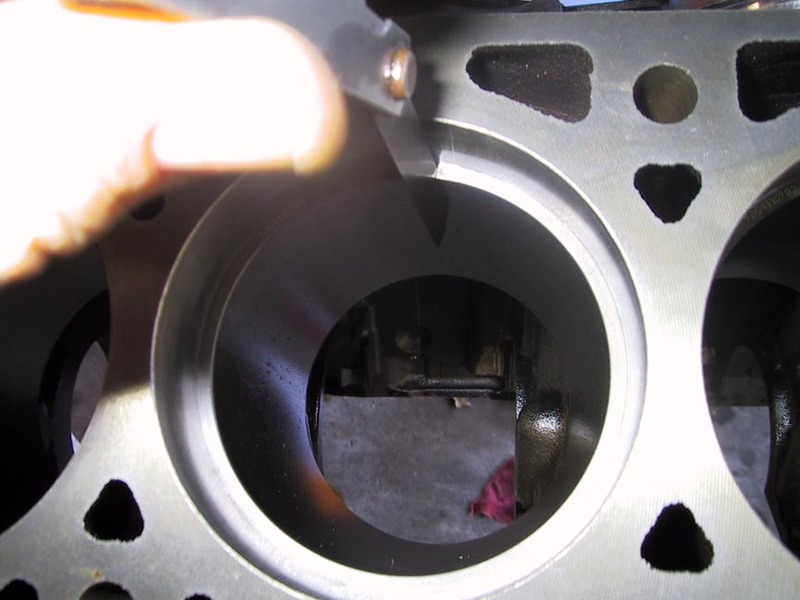 This supercharger was installed without much consideration for anything else, and with a really bad computer tune it had managed to kill itself. 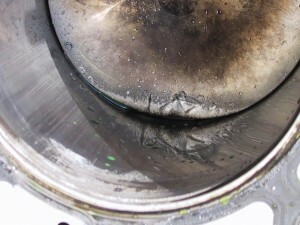 There was a melted piston, a detonation damaged piston, and some burned valves as well. 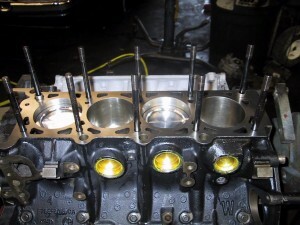 This shot is TYPICAL of MANY different things we see ALL THE TIME when working on something that a self proclaimed high performance know-it-all has worked on before…..They claim to be ace engine builders, ace tuners, and the best driver on the track but the REAL truth is MOST of them can’t even do spark plugs right! This is a short-reach spark plug installed in this engine that uses long-reach spark plugs. I taught automotive technology and I would always ask each student why they signed up……More than half of them had a car or truck that they wanted to hot rod, but this was the biggest obstacle to overcome with new students… none of them realized that you MUST KNOW ALL THE BASICS before you can move on to the high tech stuff, if you do not, disaster ALWAYS result! 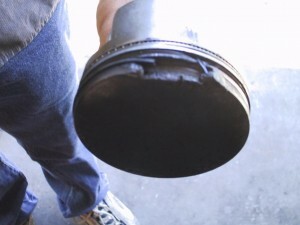 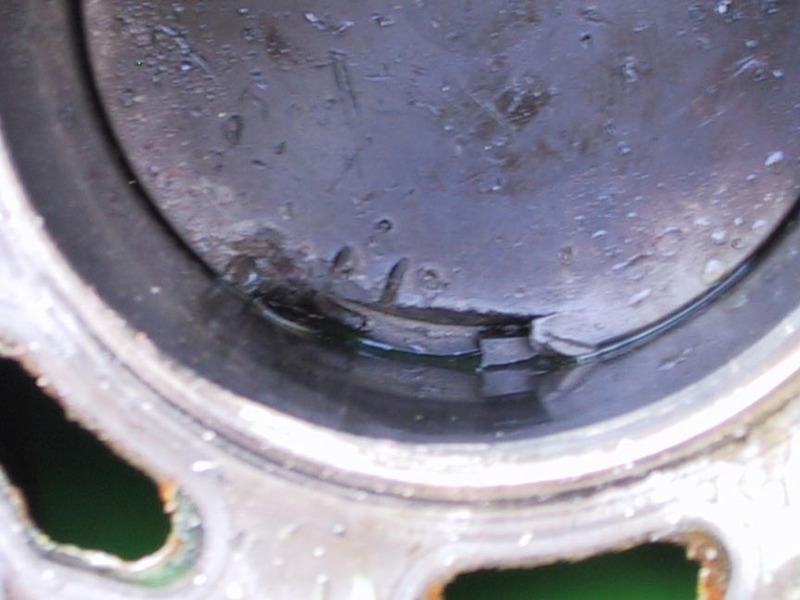 Piston damage…. One of them out of the engine. The pistons go into specific cylinders so they are marked, then the rings are installed on the piston for the cylinder they were gapped for…. 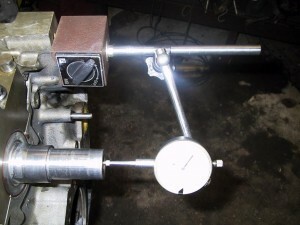 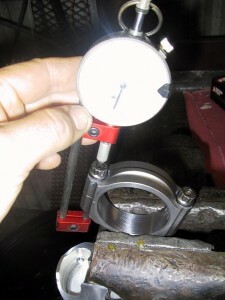 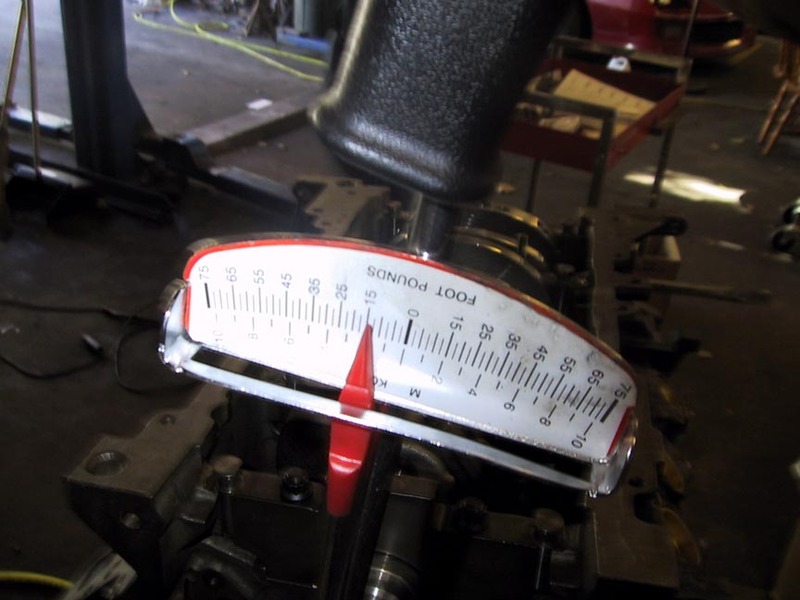 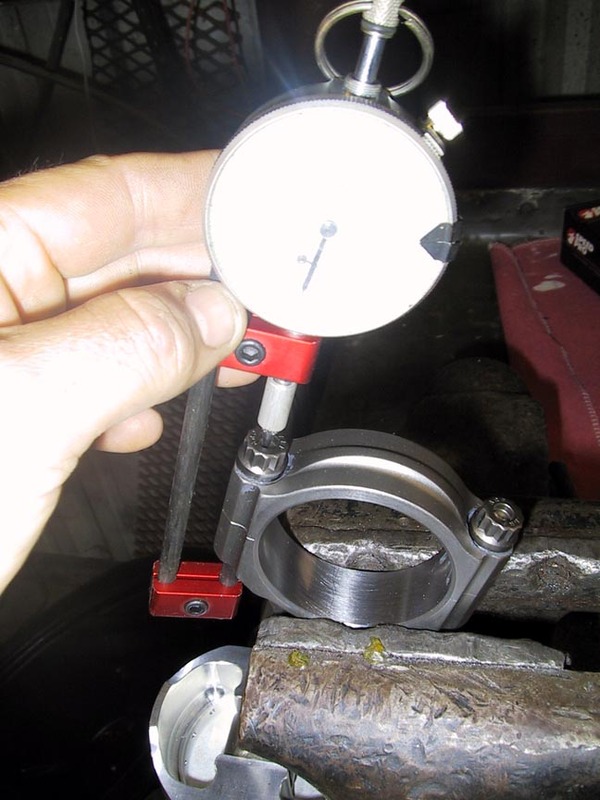 This is the tool used to torque connecting rod bolts the RIGHT way…I’m “cycling” the bolts here…..
Rod side clearance has to be checked….These are Manley connecting rods….the stock rods will NOT hold up to much abuse. 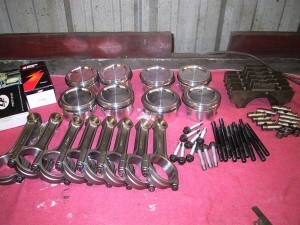 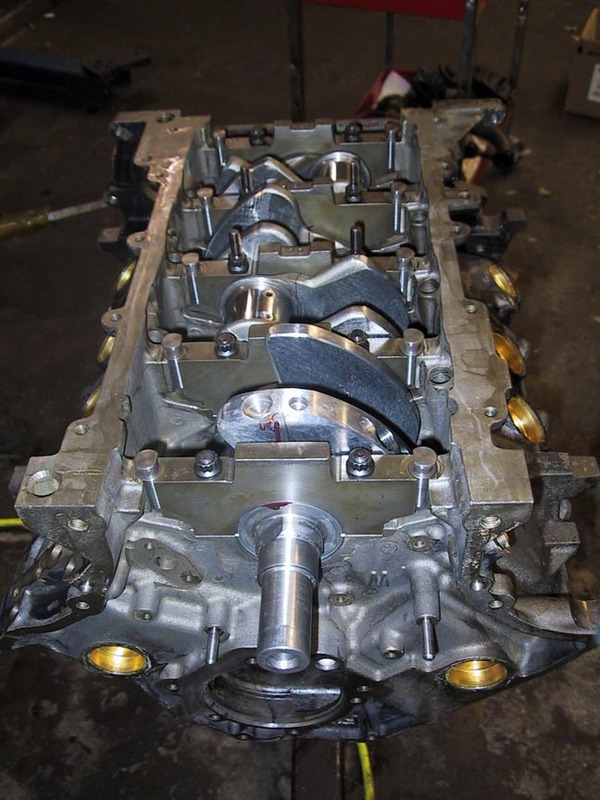 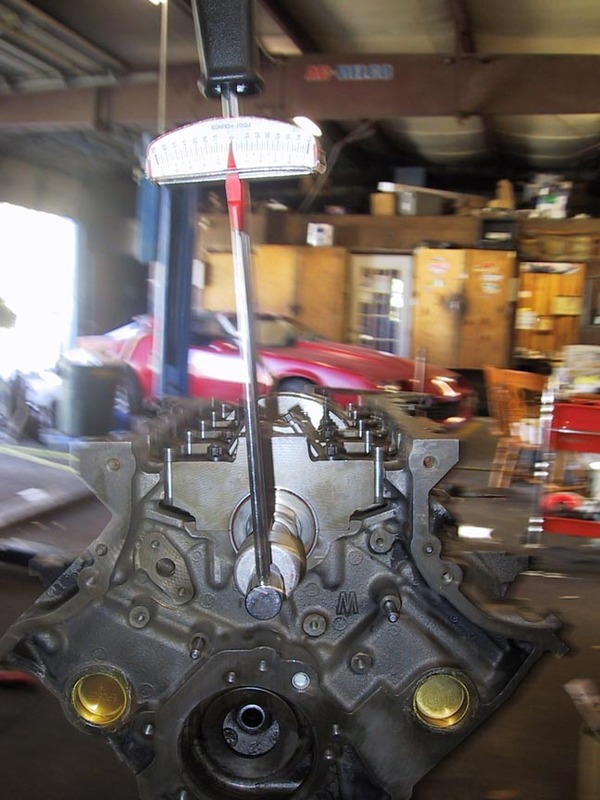 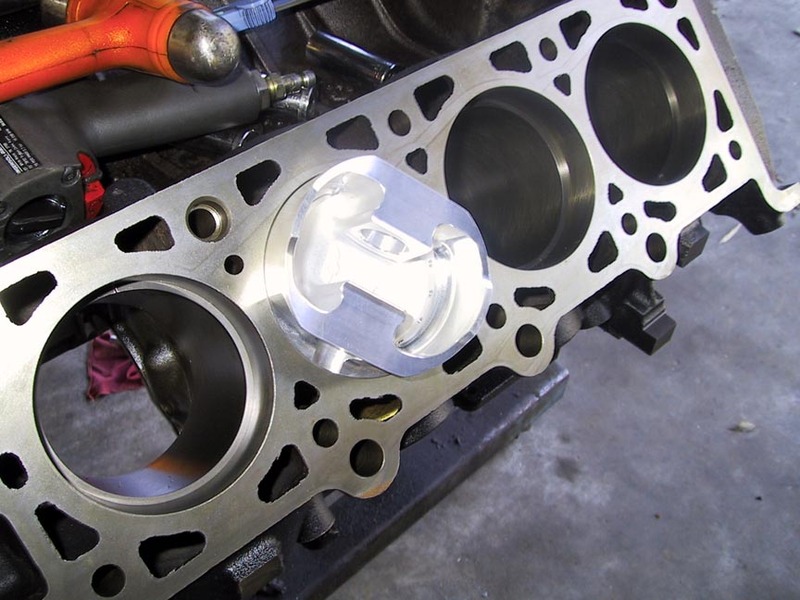 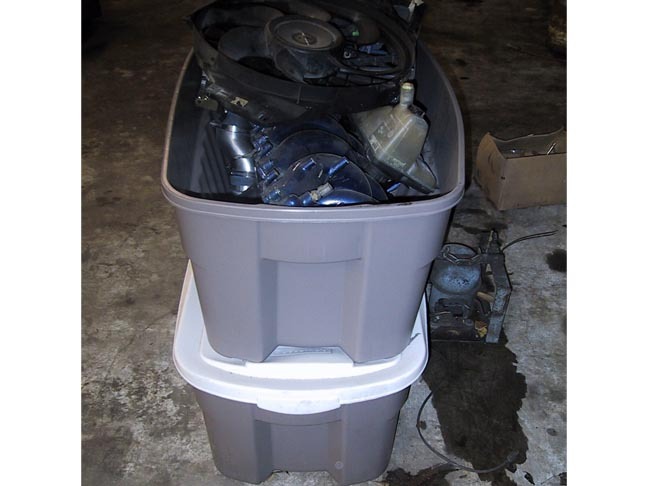 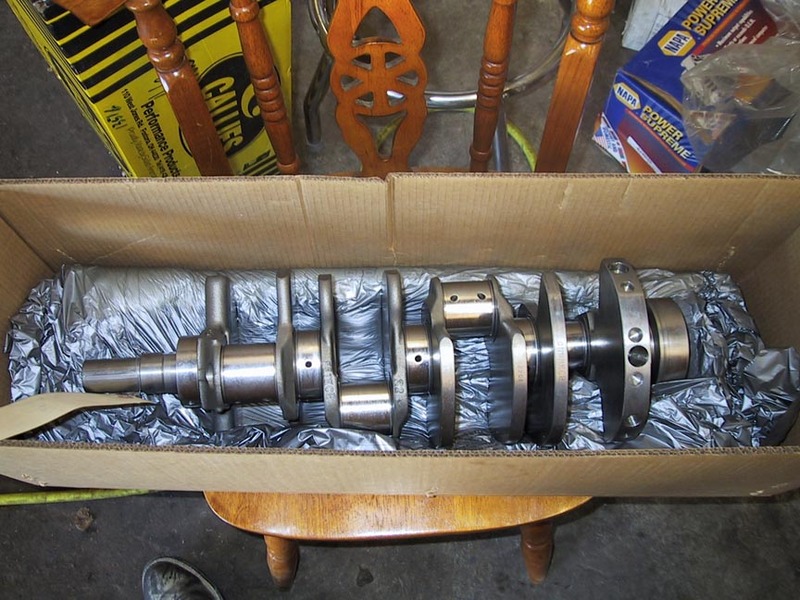 If you have a 5.4 Lightning truck and are playing around with serious boost, you need to have the engine gone through and at LEAST go back with a good connecting rod and piston…. 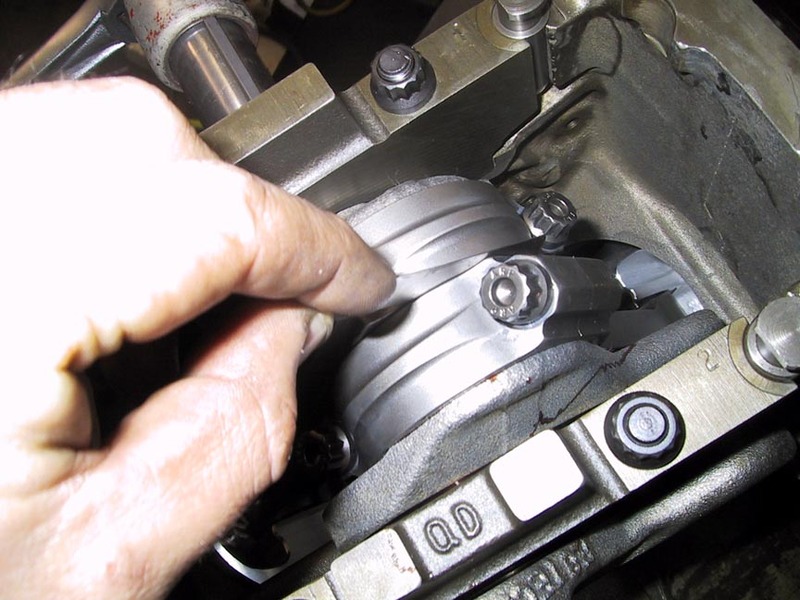 Once the engine is assembled, I always like to check to see how much torque it takes to turn the rotating assembly….If it is too tight, you BETTER disassemble it to find out WHY!!!! 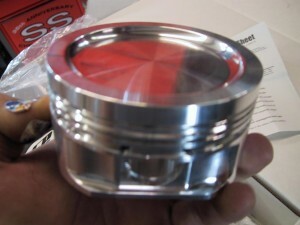 This ones good! ARP studs were used for the heads as well…I’ve seen guys take vise grips and tighten these studs down into the block…..BIG mistake…..If you don’t know why then keep your hands in your pocket, don’t mess with it! 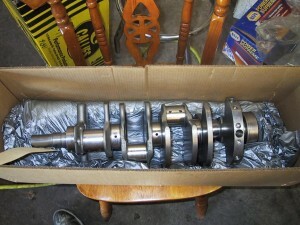 If you can’t screw them in all the way BY HAND the engine is NOT clean enough and is NOT ready to be assembled yet! Here the timing chains are going on…Sean Hyland Motorsports tensioners were used…They perform much better at high RPM than the factory tensioners…. 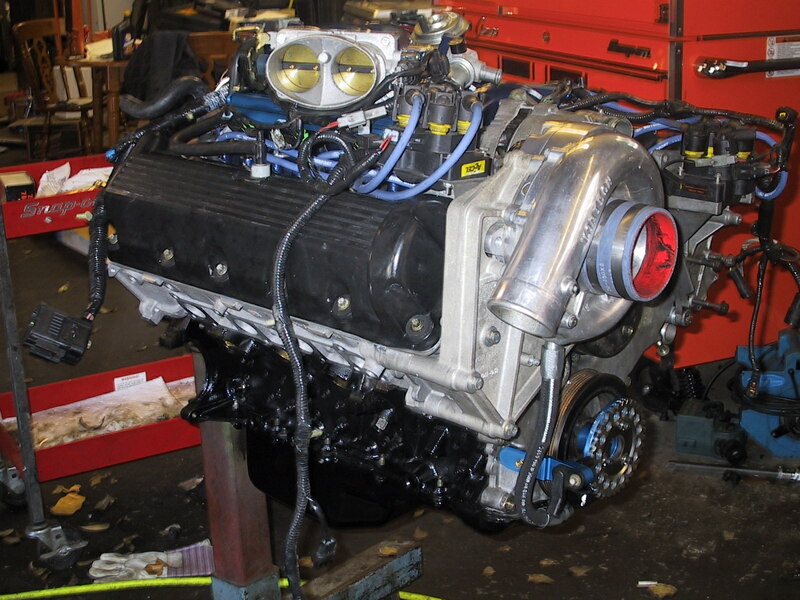 Well here it is ready to go back in……..